If you are following a keto diet, you need to check out these keto-friendly Moroccan recipes. 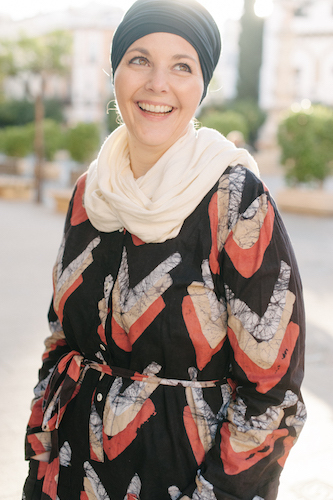 While it is true that many Moroccan recipes include fruit, root vegetables, and bread, there are also many others that fit in quite well with the ketogenic way of life. When you eat a normal diet, your body gets most of its energy from burning carbohydrates. Carbs are converted into sugar, which burns quickly and easily and supplies the body with a lot of fuel. Unfortunately, when we eat too many carbs and sugars (something many of us do), much of that excess energy is stored away as fat. Not only that, it can wreak havoc on our whole body, leading to conditions such as Type 2 diabetes, high blood pressure, high cholesterol, fatty liver, heart disease, obesity, and more. One great way to turn the situation around is by eating a Keto, or Ketogenic, diet. A Keto diet is a low carb diet designed to put your body into a state of “ketosis”. When you are in ketosis, your body is burning fat for energy, rather than carbs. This is achieved by dropping your carb intake to between 20 and 50 grams a day for an extended period of time – usually two weeks at a time or longer. Although people often think of Keto or low carb as a difficult way of eating, there are many wonderful foods you can eat on a Keto diet. For one thing, you can eat all the meat, cheese, and eggs you want. You can also enjoy most above-ground vegetables, nuts, some fruits, and healthy fats. Foods to avoid are grains (both whole and processed), sugars, and starches. This means that most bread and pasta is off limits, as well as potatoes, and grains like rice, barley, and quinoa, too. Most fruit is off limits, as well, especially tropical or dried fruits, as they tend to be higher in sugar. It is important to note that unlike some low carb ways of eating, Keto is not especially high in protein. The basic tenants of the ketogenic diet state that you should eat moderate protein (typically, one gram per pound of body weight), low carb (20 to 50 grams, although 30 or under is ideal), and high fat (healthy fats such as from meat, butter, and produce like avocados). Need help adding up what you’ve eaten? Try this keto diet calculator to keep you on track. One of the most common reasons people give for not giving keto a try is that they just can’t bear the thought of giving up bread and pasta. Giving up sugar is often scary, too, but bread almost always seems to be the deal breaker. Fortunately, there are a number of ways to create substitutes for foods you might miss, and there’s always keto bread! Pasta lovers might try baking up a spaghetti squash or spiralizing some zucchini (need a spiralizer? Check out this one: Spiralizer Ultimate Only 7-Blade Vegetable Slicer) to serve with their sauce and cheese. Radishes baked in the oven with your favorite roast make a great substitute for potatoes. Cabbage leaves are an excellent substitute for sheet pasta in lasagna recipes. There are biscuit and bread recipes that are so good, you’d never know they are keto. Some of my Moroccan recipes on this list do require a little modification in order to make them Keto, but that’s okay. With a little ingenuity, you can find ways to turn many of your favorite recipes into “keto-friendly” versions, too! People often worry that they will get bored eating a keto diet, but there is no reason to let that happen. 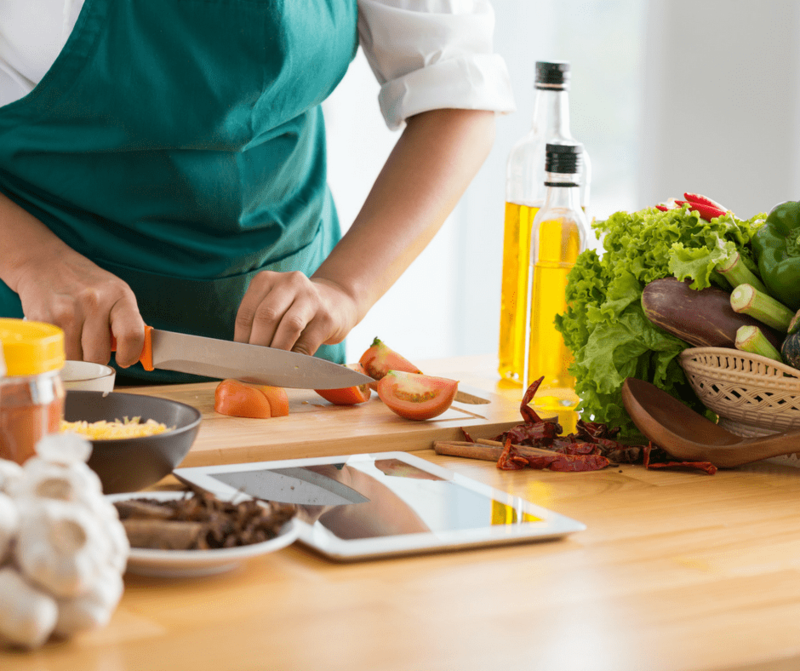 A quick search online will provide many wonderfully creative and healthy recipes to fit your keto meal plan, and a great place to start is right here. Moroccan salads are usually pretty different from the pile of leafy greens most people think of. And this Moroccan Zucchini Salad is pure comfort food. It’s a great way to sneak some zucchini into your diet if you aren’t a fan of veggies. And so quick and easy, it just might become your new go-to breakfast on busy mornings. Keto tip: Add some grated cheese and sliced avocado to your plate to boost your intake of healthy fats! 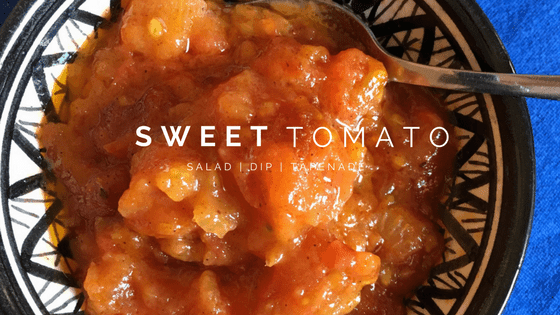 Another salad that isn’t really a salad in the way we might think of it, this Moroccan Sweet Tomato Salad is simply amazing. Versatile and delicious, you can spoon it over your favorite meats, add it to green leafy salads, or drizzle some flavor over your scrambled egg breakfast. Keto tip: Tomatoes are sweet, so eat this in moderation. When you’re eating keto, it’s hard to go wrong with a meat dish as delicious as this Marrakechi Tangia. 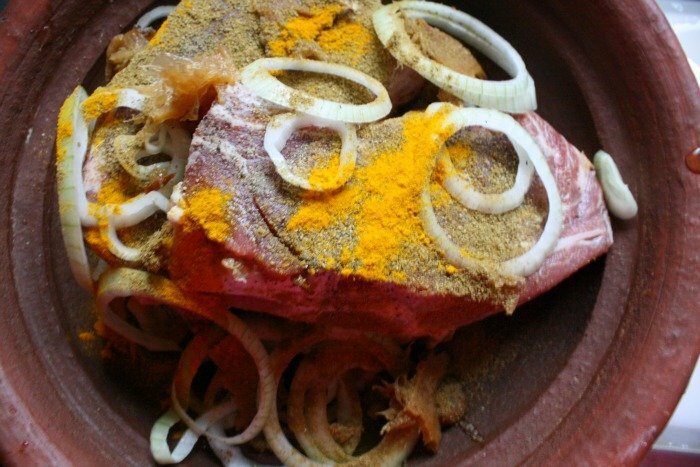 Traditionally made by the men of Marrakech, this flavorful meal of lamb is slow cooked until it is falling apart tender, deliciously seasoned with garlic, saffron threads, and preserved lemon rind. Keto tip: This dish is typically served with bread. To keep it keto, serve your Tangia with some delicious steamed veggies instead. And if you just can’t resist the bread, these Easy Low Carb Dinner Rolls might be just what you need! With tender beef, mouth-watering artichoke hearts, and wonderful seasonings, this Beef and Artichoke Tajine is pure enjoyment. Mostly keto-friendly, the only concern with this recipe “as is” are the peas, which are not a keto food. However, since the recipe only calls for a half cup of peas (10 grams of carbs) and provides several servings, they aren’t really a deal breaker. Keto tip: If the peas concern you, replace them with snap peas or another keto-friendly veggie to reduce the overall carbs. Serve with vegetables or an acceptable low-carb bread. One of the hardest things about eating a keto diet is that sometimes it feels like there is a decided lack of comfort food. Vegetables are delicious, but not always very comforting. But when you cook up this Beef Tajine with Cauliflower, you will find out just how comforting cauliflower can be. With tender, juicy beef and wonderful flavor, you’ll never miss the carbs! Keto tip: Serve this up with some amazing Low Carb Biscuits with Garlic & Parmesan to really amp up that comfort factor! If you have a busy schedule, you know just how helpful a good slow cooker recipe can be. 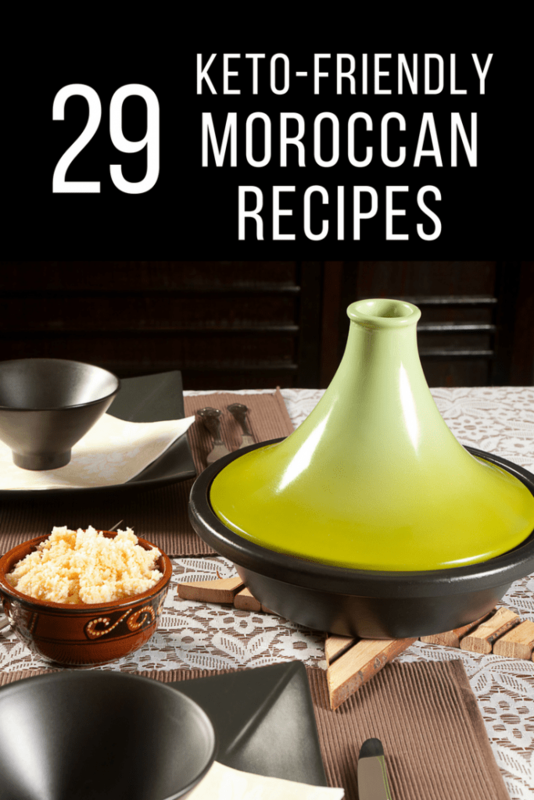 Many Moroccan recipes are made in a pressure cooker. 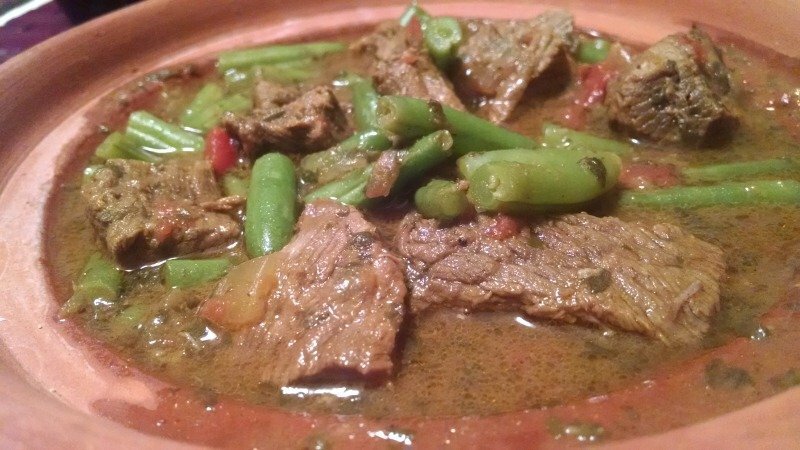 But this Slow Cooker Moroccan Beef and Green Bean Tajine is a dream come true for those busy nights when you just want to come home, kick off your shoes, and eat an amazing meal. All that, and it’s keto-friendly, too! That’s what you call a win-win! Keto tip: Serve this up with some sliced avocado for a delicious way to add some more healthy fats to your meal. 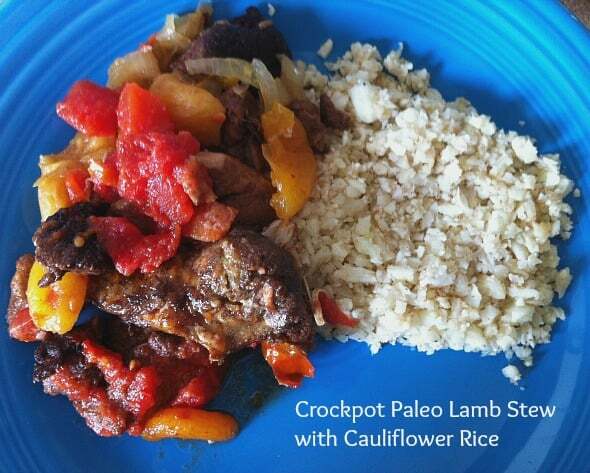 Crockpot Paleo Lamb Tajine With Cauliflower Rice is another wonderfully convenient slow cooker recipe for those nights when you’d really like to come home from work to find dinner waiting and ready to eat. It’s amazing with lamb, but you can prepare it with any meat you like. 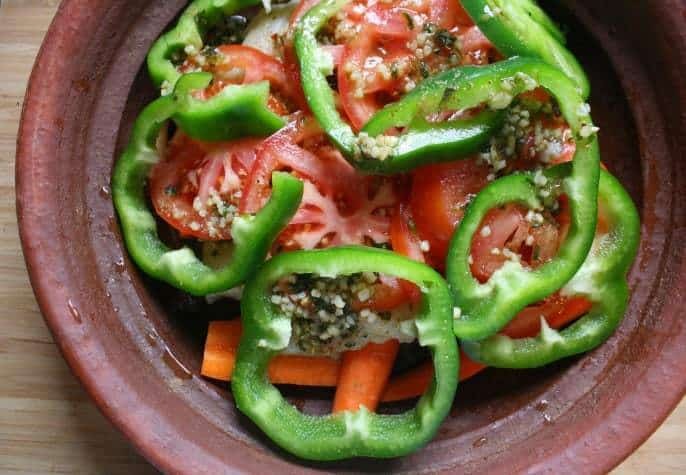 Although this tajine would normally be served with bread, this paleo friendly version is made with cauliflower rice instead, which drastically reduces the carb count, as well. Keto tip: To make this recipe truly keto-friendly, leave out the “81 grams of carbs per cup” dried apricots. It can be really exciting to try a new and unfamiliar cuisine. But it can also be a bit scary. If you are looking for a great place to start, check out this Moroccan Kefta and Eggs Tajine. Start with some ground lamb or beef and add in all those other amazing flavors to make some of the most delicious meatballs you can imagine. Add some eggs to poach in all those delicious spices and you have one of the best keto-friendly comfort meals EVER! Keto tip: Eat with sliced cheese or avocado for some flavorful healthy fat! This Harissa Chicken and Rice is one of those dishes that I just put together without following a recipe, so you will have to “wing it” a bit when you put it together, too. (Chicken pun not intended, but now that it is there, it is there to stay!) There really is no way to go wrong with this one. So feel free to experiment with your flavors a bit and see where it takes you! Keto tip: To make it truly keto, be sure to serve this one up with either cauliflower rice or some spiralized veggie pasta! Fish is a great keto-friendly food and this Casablanca Fish Tajine is so rich in flavor, you’ll never miss the carbs. Seasoned with fresh parsley, garlic, cumin, and paprika, and served up with carrots, tomatoes, and green pepper, every bite is completely delicious and satisfying. Keto tip: Carrots are around 6 grams of carbs each. If you are keeping your carb intake particularly low, replace half the carrots with some zucchini, broccoli, or another keto-friendly vegetable. Serve with some sliced avocado to add some healthy fat to your meal. Meatballs are an awesome, highly flexible food, perfect for busy nights when you just want to grab something quickly. These Slow Cooker Harissa Meatballs are unbelievably easy to make and so full of flavor that you’ll be hooked the first time you taste them. Prepare a bunch so you have them handy for several meals. Keto tip: Serve up your delicious meatballs with spiralized or sliced zucchini, or over some baked spaghetti squash for a satisfying keto-friendly meal. If you love chicken, this wonderfully spiced and totally flavorful Chicken Tajine with Tomato and Onion Jam will make your keto dreams come true. The chicken cooks up so tender and juicy and tastes delicious with your favorite low-carb veggies. Keto tip: Tajines are normally eaten with crusty bread. This easy recipe for keto-friendly Oopsie Rolls makes for a nice alternative when you just can’t resist the temptation of bread. Do you enjoy olives? They are a great keto-friendly snack, and with so many varieties, they are practically boredom-proof. 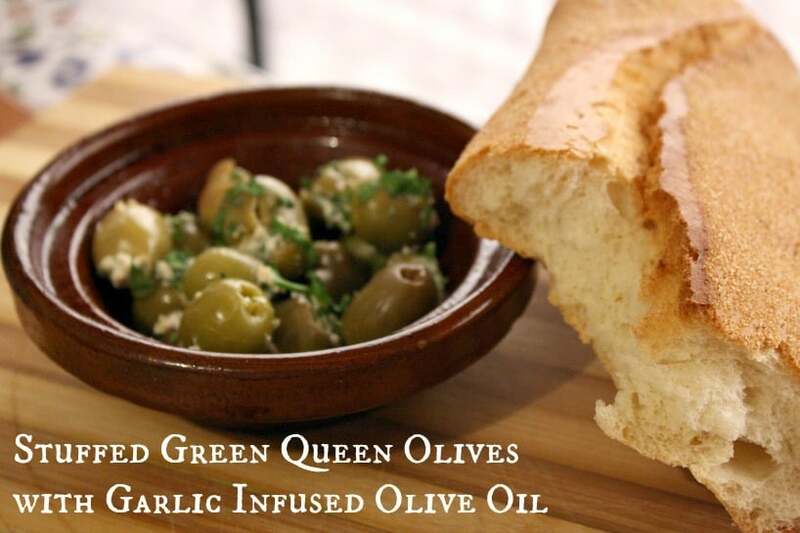 But when you want to amp up your olive “game”, try out these Stuffed Green Queen Olives with Garlic Infused Olive Oil. Filled with garlic and cheese, these olives are so full of flavor they might just become your new favorite snack! Keto tip: Make a big green salad to go along with these scrumptious olives for a tasty keto-friendly meal. Even if you aren’t a fan of eggplant, I urge you to give this recipe for Braniya – Lamb and Eggplant Tajine, a try. Comforting and delicious, this could easily become one of your new favorite recipes. Keto tip: Braniya is traditionally served up with crusty bread. Keep things keto by leaving the bread out, or serve with your favorite keto bread! One of the easiest ways to prepare chicken and other meat is to roast it. This Green Harissa Roast Chicken is a wonderfully easy way to try some Moroccan flavors in a keto-friendly recipe. Keto tip: If you can’t find Mina Harissa Green Pepper Harissa in the grocery store, Amazon can help. Serve up your roast chicken with some of your favorite low-carb vegetables for an amazing meal! I never knew how much I liked lamb until I ate it in Morocco. This Lamb and Artichoke Tajine will make you a believer, too. Although lamb or mutton can be a bit difficult to find in the states at certain times of the year, this dish is well worth the effort. It’s also a delicious way to enjoy artichokes! Keto tip: Serve this up with some light and fluffy cloud bread instead of the traditional crusty loaf to keep this meal practically carb free. 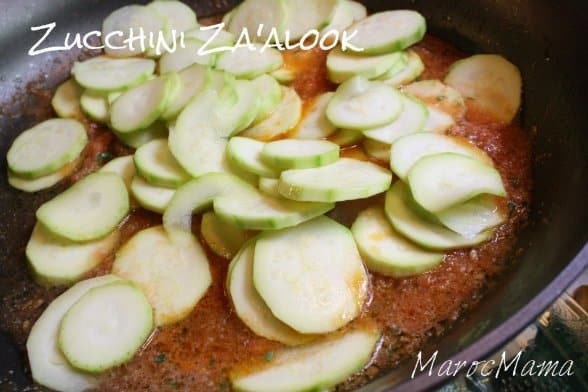 Za’alouk is a dish traditionally made with eggplant. However, I personally prefer using zucchini because it has a firmer texture. Either way, though, this Zucchini Za’alouk is deliciously low-carb. Keto tip: Za’alouk is amazing all by itself. But if you want something heartier, use it as a topping for a big juicy burger or some slow cooked and tender roast! Although this recipe for Moroccan Avocado Almond Smoothie is wonderfully healthy, even as written, it is not keto-friendly. However, it can easily be modified. Avocado is a wonderfully healthy fat, and you just can’t beat the convenience of a smoothie! Keto tip: To make this smoothie keto friendly, simply use regular, unsweetened almond milk and your favorite sugar substitute like Splenda, Swerve, or Stevia. One thing that can definitely be tricky on a keto diet is anything involving BBQ. Traditionally, BBQ sauce tends to have sugar in it – even the ones that are more vinegar based. 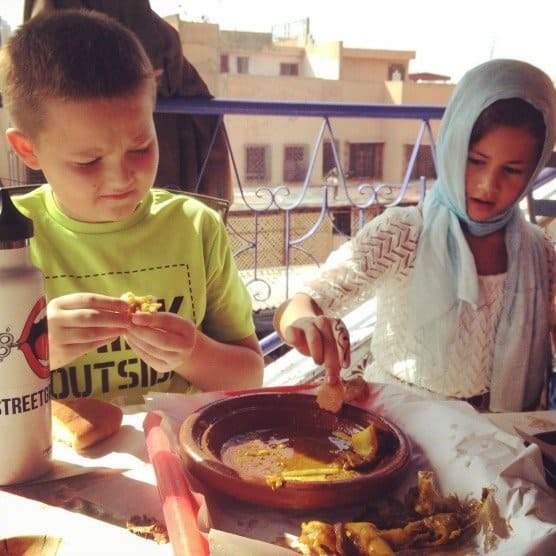 But with Mechoui – Moroccan Style BBQ, there is no sugar to worry about. Rack of lamb is covered with a delicious flavor combination of salt, pepper, cumin, and ginger and then cooked until the fat is rendered and the meat is tender. With no sugar or carbs to worry about, all that is left is joy! Keto tip: Serve your Mechoui with roasted Brussel sprouts, broccoli, or any other favorite low-carb vegetable! Traditionally served for Eid al Adha, the Feast of Sacrifice, Boulfaf – Grilled Lamb Liver is a special and delicious part of the feast. Although it can be tricky to obtain lamb liver and caul fat in some areas, it is well worth the effort for this wonderful keto-friendly recipe. Keto tip: Boulfaf is traditionally served with crusty Moroccan bread. To make your meal truly keto, either serve with your favorite low-carb vegetables or bake up some homemade keto-friendly bread! If you love olives, you owe it to yourself to give these Moroccan Spiced Olives a try. This tasty snack is completely addicting, as well as keto-friendly. Keto tip: These yummy olives just about beg to be served with bread and cheese. One keto-friendly option is to whip up a batch of 2-Ingredient Keto Pancakes. Made with eggs and cream cheese, these wonderful little crepes are easy to make and pair well with a wide range of flavors! Fish is so wonderfully healthy, but many people consider it hard to prepare. If you are one of them, I recommend that you give this Oven Baked Fish with Charmoula a try. It’s fast, easy, and completely keto-friendly. Keto tip: Add a side of your favorite low-carb vegetable or a big, green salad and you won’t even miss the bread! Although this recipe for Moroccan Style Eggs and Veal Meatballs is perfect for breakfast, there really isn’t a wrong time of day to eat meatballs and eggs. Flavorful and filling, this dish is wonderfully satisfying. Keto tip: Fry up some thinly sliced radishes in butter for an excellent “faux potato” side dish. If you love bell peppers, this Charred Green Pepper and Preserved Lemon Salad is a great way to prepare them. This recipe is keto-friendly and simple to prepare, and goes great with just about any meal! Keto tip: This is a great recipe to prepare in volume. It makes a great topping for your favorite meats and vegetables, although you might be tempted to just eat it all up with a big spoon! Although this recipe for Chicken with Smen and Green Olives is a bit tricky and difficult, it is well worth the effort. Smen is not readily available in many places, but if you can get it, this is a great way to try out the unique flavor. Keto tip: This dish is Keto friendly just as it is. Paired with your favorite low-carb vegetable, it makes a great meal for family and friends and no one will even miss the carbs! 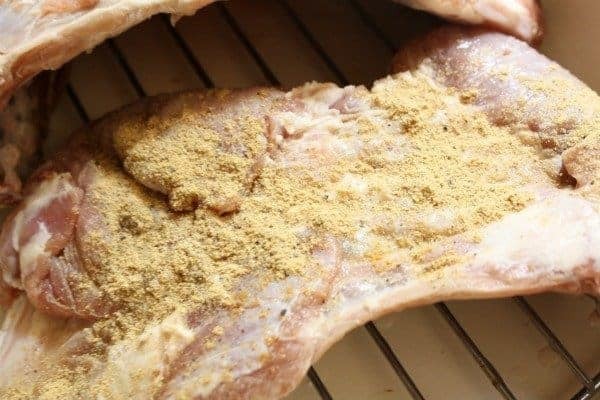 Baking up a chicken is a great way to make an easy keto-friendly meal for your family, and this Roasted Chicken with Moroccan 6 Spices will really impress them. The seasonings are so tasty and fresh, people may think you slaved over this dish for hours. Keto tip: Follow the directions to make the sauce reduction but don’t add any cornstarch to save on carbs. Serve with low-carb veggies and/or a fresh green salad to round out your delicious healthy meal! 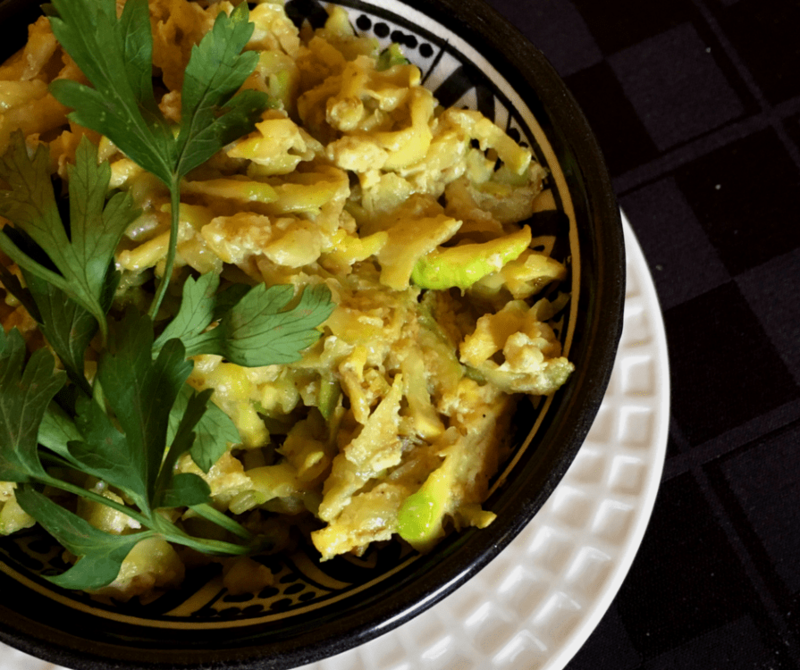 Moroccan salads are quite a bit different from the green, leafy salads most of us think of. But one thing they have in common with more familiar salads is that they tend to be keto friendly. 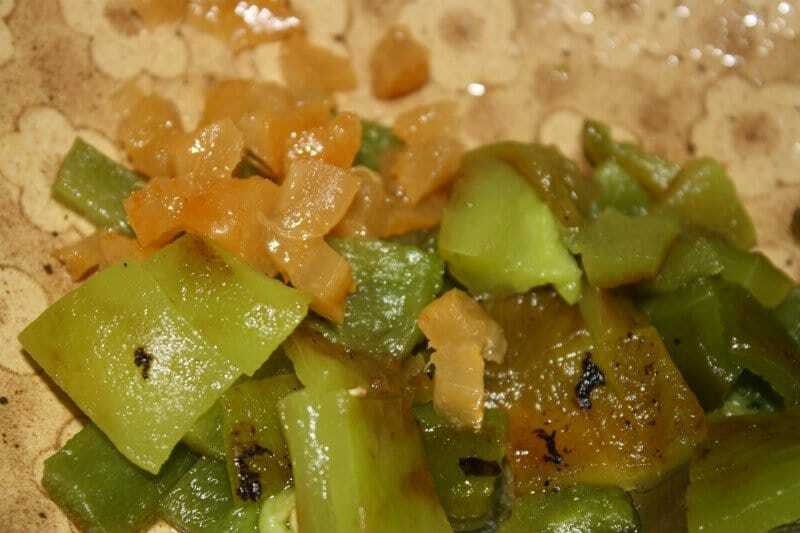 This Taktouka – Green Pepper and Tomato Salad – is no exception. Simply forgo the bread and you’ll have a tasty dish to accompany any meal. Keto tip: While Taktouka would normally be served cool with crusty bread, it also tastes great warm and makes a great topping for favorite meats and vegetables. Feel free to experiment to see what you like best! The flavorful and delicious Chicken and Olive Tajine provides a great meal for your hungry family. It is traditionally topped with french fries but to keep things keto, you can substitute just about any other veggie that comes to mind. Keto tip: Serving up some sliced avocado is one tasty way of adding some healthy fat to this meal, making it even more satisfying and keto-friendly! Even if you’ve never been a fan of eggplant before, consider giving this recipe for Za’alook – A Moroccan Eggplant Salad a try. The eggplant cooks up nice and soft, along with tomato, garlic, onion, and tasty spices. Keto tip: Za’alook makes a wonderful accompaniment to just about any meat. Experiment with the seasonings a bit to find your personal favorite way to add flavor to your keto way of life! If you are eating a Keto diet, I would love to hear from you! What’s your favorite thing about eating low carb? What is your biggest challenge?